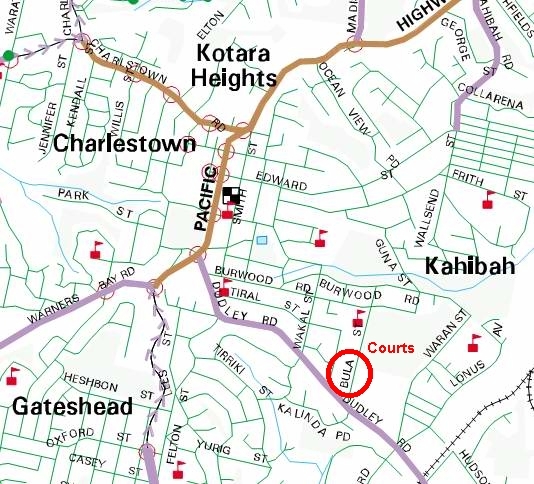 Netball Courts - Dudley Road, near Central Charlestown Leagues Club. In 1962, two school teachers, Don and Sue McLean, realized the need for a female participation sport in the Charlestown and surrounding areas. Initially they entered two female basketball (as netball was known at that time) teams in a Belmont based competition. The next year eight teams formed, and because of transport problems, they decided to start their own competition, based at Attunga Park (near the present Charlestown pool). As the competition grew, it was moved to the Reary Park at Dudley, with 60 teams participating by 1966. Because of the distance to Dudley, a competition was re-started at Attunga Park in 1967, with up to 33 teams playing there. In March 1970, the two clubs amalgamated and in the same year the sport changed its name from basketball to netball. With the amalgamation up to 96 teams were playing at Attunga Park, and this, combined with training and local school use, meant these facilities soon became bare of grass and very dusty. Through the dedication and foresight of people like Mrs. Essie Toneguzzi and the late Mr. Jack Stewart MLA, a push to acquire land from the cemetery trust in the Whitebridge area was instigated. This push did not see fruition immediately however, and after the passing on of Mr. Stewart, newly elected Mr. Richard Face, MLA picked up the challenge on our behalf with eventual success. Lake Macquarie City Council, The Department of Sport and Recreation and the Clubs own fundraising activities have been largely responsible for the present day facilities. These include 24 tar sealed courts, with lighting, 10 grass courts available as required, sealed car parking plus an excellent clubhouse providing, canteen, office, first aid room, meeting room, and toilet and shower facilities. 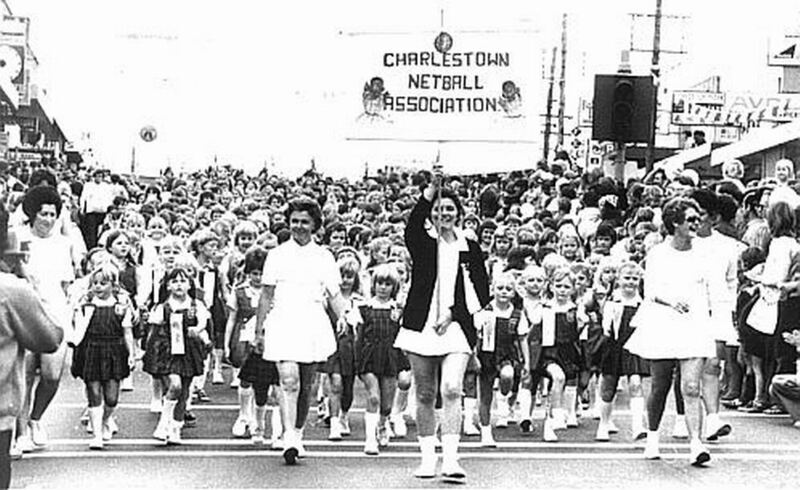 In February 1980, Charlestown Netball Association (C.N.A.) was accepted by the N.S.W. Netball Association as a District Association in its own right, and as a result of our affiliation, we were able to send our first Representative teams away under our own banner, to compete at State levels. Since 1981 we have had 68 Umpires badged, and of these 12 have been upgraded to 'B' grade and one to 'A' grade. Feeder clubs, for our Association are Attunga, Central Leagues, Dudley-Redhead, and Kahibah, Lakers and Macquarie plus many Independent teams. All together we fielded a total of 152 teams in this year’s winter competition. In 1995 Charlestown Netball Association entered for the first time a team in State League (Region 1, Division 2) and we won! This was the first time a team from outside the Sydney area had won this competition. The Association has also entered teams in the Interdistrict, which is played against the Sydney teams on a home and away basis, and the Hunter Interdistrict played on a home and away basis with Hunter Teams. Since then we have won many divisions and championships. Charlestown Netball Association has come a long way since its small beginning. Of course without a hard working committee, it would not be the success it is today. 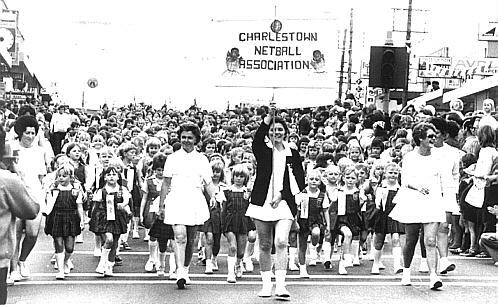 Charlestown Netball Association marching in the 1976 Charlestown Centenary procession. This report is a chance to let you all know what happened in the 2010 season and report on the activities of our Association. It is also a chance for me as President to thank those who give time voluntarily for the good of netball at Charlestown. Our Association exists as an instrument for the Netball Clubs of our area to come together to hold a Competition. As such, we would not exist without the time and effort of all of the Club executive who work at grass roots level to complete registrations, allocate uniforms, form teams and allocate coaches and that is just to get the season up and running. Throughout the year, Club volunteers continue to assist in many roles such as umpiring, canteen duty, managing teams, and coaching. Once again, the Club Executive keeps communication running to teams through the year and represents them through Club Delegates who attend Charlestown Netball Council meetings. Thanks to all of you for your time given for our sport of netball. At Charlestown Association Committee level, we also work hard with monthly meetings to ensure the Competition runs smoothly for our Clubs and that we have a successful Representative Program for our talented players. We also function at a Regional level with other Associations from the Hunter and at the State level with Charlestown delegates travelling to Sydney to NSW Netball Council meetings. Two thousand and ten was a very busy year along with the Winter and Twilight competition, we ran a very successful Macquarie Cup Schools Competition on Friday’s during terms two and three with over 50 teams coming each week. We hosted the annual Koori Games as well as Division 3 of the Netball NSW State Age Championships along with our Annual Carnival. The very successful Mufti day raised $2,000 for the ‘Cure our Kids’ Foundation. I am extremely proud of the way our association supported these events. I would like congratulate all our Representative players, officials, umpires, parents and supporters for the wonderful way they conducted themselves over the season. Charlestown has also continued to be represented at Regional and NSW Council meetings with executive members travelling to Sydney to hear of developments at State Level. The major development for 2010 was that State Age Championships move to four divisions to accommodate the growing number of Associations entering and to enable smaller venues to host, as stated earlier Charlestown again was one of the host Associations along with Lakeside, Newcastle, and Maitland. Lake Macquarie City Council Recreation Board meetings occur twice times a year with several executive attending. At Management Committee level, we have continued to work with implementing the Netball NSW Member Protection Policy to protect any members of our committee and clubs and maintaining high standards for our members. The Committee has dealt with a huge amount of ‘Business of the Association’ this year and I thank all Committee members, who are able to work as part of a dynamic team for their input in discussions for the good of the Association and their hours of time given completing many tasks. I would like to thank Elizabeth Mansfield, Chris Butchmann, Jodie DiPietro, and Dianne Yorke who ran the canteen in a professional and fun way to ensure the many volunteers who work in the canteen throughout the season enjoyed their time and were willing to come back. I would also like to add my thanks to Elly Tindall who came and helped in the canteen every Friday when the schools played. Thanks also to our many sponsors to those who supported the Association through to those who supported the teams, without your help we could not do the things we do. In 2009, we made the decision to do an extension to the building in order to provide better first aid facilities and more storage, two toilets and a secure garbage storage area. Plans have been finalised and the development application approved with the construction certificate issued. We were successful in a $77,500 grant from the NSW Government Regional Facilities Grant and as you can see, building has commenced. We are also getting support through Lake Macquarie City Council with ‘Work for the Dole’ program and they are as you can see doing a lot of cleaning up around the courts, the association pays for the materials but all the labour is free. Congratulations go to our 2010 award winners, Sportsmanship Award – Jodie DiPietro (United), Coaches Award – John Jones (Waratahs), Irene Murray Medal – Kate Collins (Macquarie Effigy). Congratulations also to Kevin McCaw upgraded to a National ‘B’ badge and to Vivien Palmer on gaining her ‘C’ badge. I would like to take this opportunity to wish all our Representative Teams, support staff and each team a successful 2011 and please enjoy your netball. I look forward to 2011 and what lies ahead for our Association and I would like to thank the clubs, Central, Dudley/Redhead, Kahibah, Lakers, Macquarie and United, the Independent Teams and my fellow Executive, Marie Caddies, Lil Harrison, Michelle Cameron, Annette Hicks, Terrie Agius, Helen Randall, Roz Richards, Margaret West and Lesley Worthington for their support, and friendship that has been extended to me over the past year. To all that have contributed in some small way over the past year thank you for making our sport much better for your contribution. 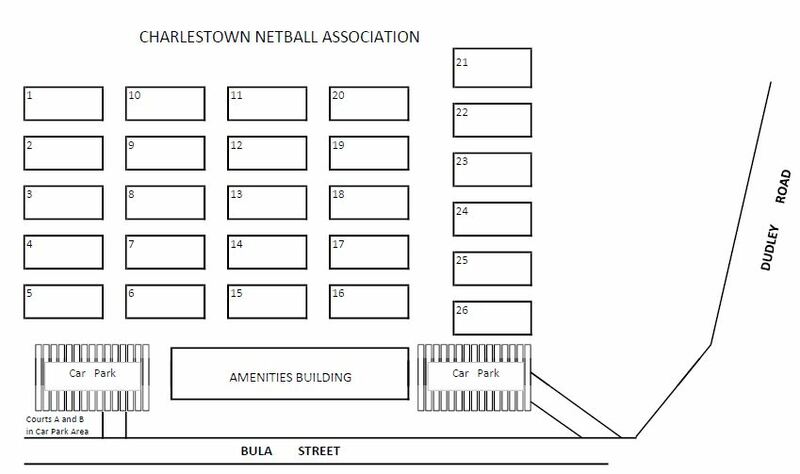 I trust that you will all be a part of the ongoing development and forward movement of Charlestown Netball Association. See you around the courts. The Good Sports program is a national initiative of the Australian Drug Foundation operating in partnership with Hunter New England Population Health and the 'Good for Kids, Good for Life' project to develop safer and healthier communities. 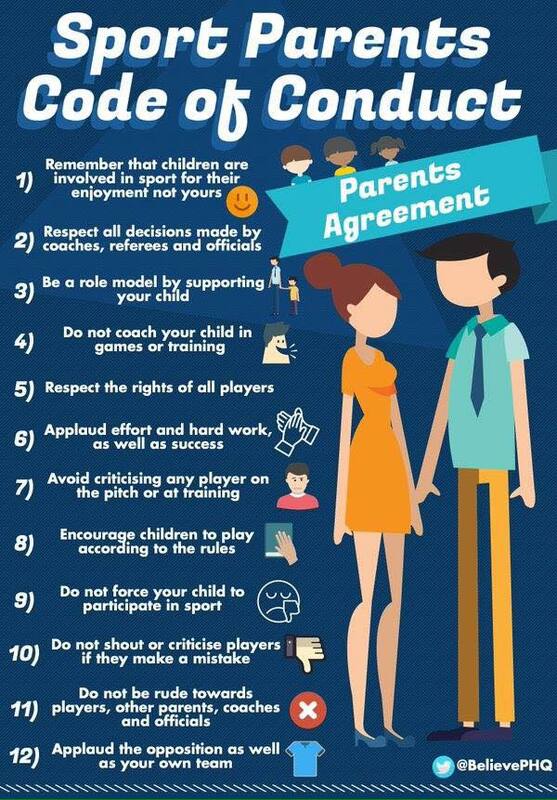 Good Sports is a free program designed to help community sports clubs become more focused on young people and families, by providing leadership and support to build viable and friendly environments. Charlestown Netball Association is a Good Sports Club and has passed the Level 1 Accreditation. We are now working towards our Level 2 Accreditation. Last updated 16th March 2019.